On today’s episode, we host Marissa Turnbull and Michael Johnson, THPO and Deputy THPO of the Mashantucket Pequot Tribal Nation in Connecticut. Michael Johnson is also co-host of the Native Opinion Podcast. On this episode they talk about how their tribe went from very early colonization to only few families living on their state reservation in the 1970s to federal recognition and then to economic success that led to them being seen as a casino rather than a people. The Nation has found themselves in the middle of the debate on who is “a real Indian”. In 1993 Donald Trump argued before Congress that the Mashantucket Pequots should not have been given federal recognition and been able to become a gaming tribe because “they don’t look Indian”. We talk about what that’s been like for them as a tribe, but also how they would define their own narrative and the importance of education in doing that. Along those lines we talk about their history, their gardening and cultural education programs, and what they would like to achieve as a THPO, including seeking international repatriation of a wampum belt. Trump 1993 testimony clip played within the episode followed by additional discussion with Blackfeet tribal member and Editor At Large of Indian Country Today Media Network, Gyasi Ross. Additional footage of 1993 Trump testimony discussing how he believed corruption was rampant in Native American casinos. “Native Opinion is a unique education, entertainment and informational radio show and podcast discussing American contemporary issues from Native American Indian perspectives. Co-hosts, Michael Kickingbear, of the Mashantucket Pequot Tribal Nation, and, David GreyOwl, a member of the Echota Cherokee Tribe of Alabama, present an Indigenous view on American history, politics and culture, and how those things impact and shape Native American lives”. 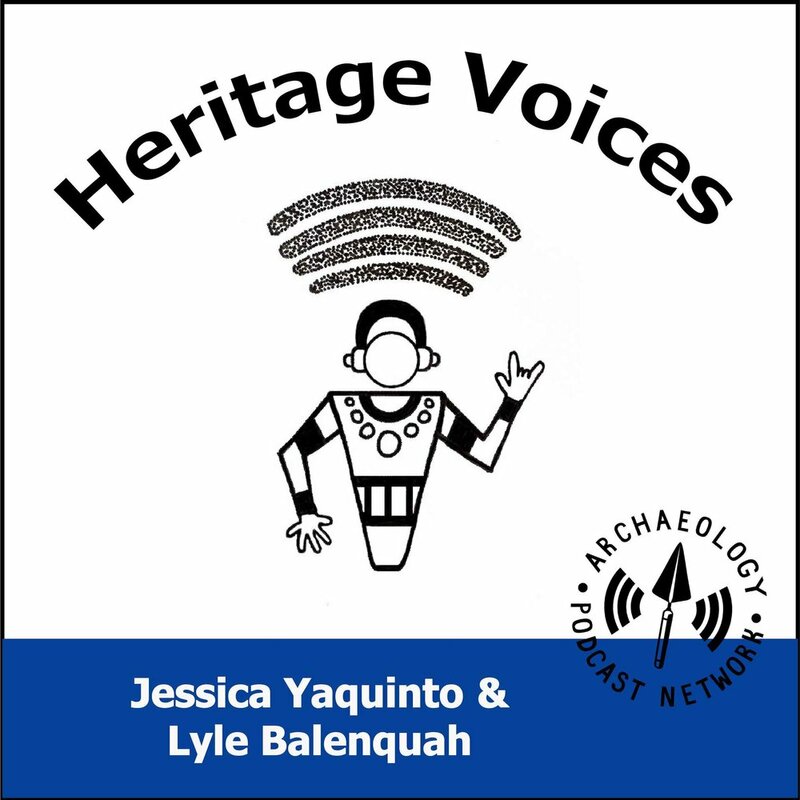 In today’s episode, Lyle Balenquah interviews Susan Sekaquaptewa and Marissa Nuvayestewa about their efforts to build a Hopi museum and learning center by Hopi, for Hopi. They and their team are in the thick of working on turning this idea into a reality and they break down that process in this episode. They talk about the original idea behind the Hopivewat museum and learning center and how they have been working with the community to continue to develop the idea. They particularly touch on the importance of building relationships and partnerships, selecting an organizational structure, finding resources and funding, and how to use cultural roles as a strength rather than seeing them as a challenge. This episode provides fantastic guidance for anyone looking to do community-based projects with tribes! We are excited to share our first panel episode with you. In addition to being a panel episode, this episode is also a crossover episode with the Go Dig a Hole podcast. Today’s panel features indigenous archaeologists, cultural anthropologists, and even a THPO from the Southwest, California, Pacific Northwest, and Plains tribes talking about their experiences working with museums. They talk about the major challenges they face with museums, including representation, repatriation, and past preservation techniques, as well as positive museum experiences and the directions they would like to see museums go in the future. Finally they give guidance on how museums and tribes can better work together in the future. Today’s episode features Anna Cordova, Lead Archaeologist for the City of Colorado Springs (although, to be clear, she is not representing the city with this interview). If you are looking to understand indigenous perspectives on archaeology, this episode is a great place to start because she explains the challenges so clearly and so passionately! We talk about the importance of decolonizing anthropology and some specific suggestions on how to do that. We also discuss indigenous geography, the differences between working in Hawaii and Colorado, and her experiences doing ethnographic and tribal consultation work.